Xiaomi smart TV MiTV 2. Chinese based Xiaomi has big plans for the Indian strategic market in early 2015, including the addition of more valuable products for less money, customer service xiaomi tv and investment in new local businesses in India. Despite the recent conflict, such as the recent IAF fear of privacy and Ericsson lawsuit Xiaomi bet on India. "The Ericsson lawsuit had little impact on our operations in India. Business is as usual for us and I thank all my fans in India. With regard to the privacy problem I would ;like to say that Xiaomi is a very transparent company and we took all necessary measures to protect the trust of our customers, "said Manu Jain, head of Xiaomi India. Xiaomi expects to expand its product portfolio. "Not only smartphones, we will launch all the important products in best quality and in best price. We have to study the launch in India in the first place", Jain said. Xiaomi Mi 4 Smartphone: The Mi 4 will soon launch in India and is speculated to be released in January. Jain suggested that the price would be around Rs 20,000. Xiaomi surprise their fans, it is expected that the price is lower. Xiaomi My band: Xiaomi will introduce its fitness bandcalled Mi band in March 2015 in India. My band is sold at around US $15 "The price will be similar to that in India," Jain said. Xiaomi Mi TV 2: Xiaomi tv. 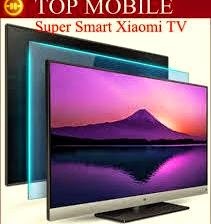 Xiaomi planned to launch its first smart TV in India, xiaomi 4k tv in the second half of 2015 at a price of around Rs 40,000. "The smart TV will take some time, we have partnerships with content providers and service centers in India. The content is not coming from our site. The price includes eight soundbar speakers too", Jain said. My TV 2 has a 4K Full HD 49-inch screen and powered by a quad-core CPU 1.45GHz Mstar with 8 GB Flash Memory and 2 GB DDR3 RAM and supports up to 64GB of external memory. The TV is on an operating system based on Android MIUI TV and provides remote special keys and remote application 11 gesture. Xiaomi will sell its products on its own e-commerce site in 2015. "While we continue our partnership with Flipkart, we want to establish our own e-commerce office in India and will sell Mi products online there", Jain said. The e-commerce site of Xiaomi will only sell its products and services. So, it is a great thing for Xiaomi and cheap but quality product lovers. Let's wait and see new xiaomi tv smart web tv.